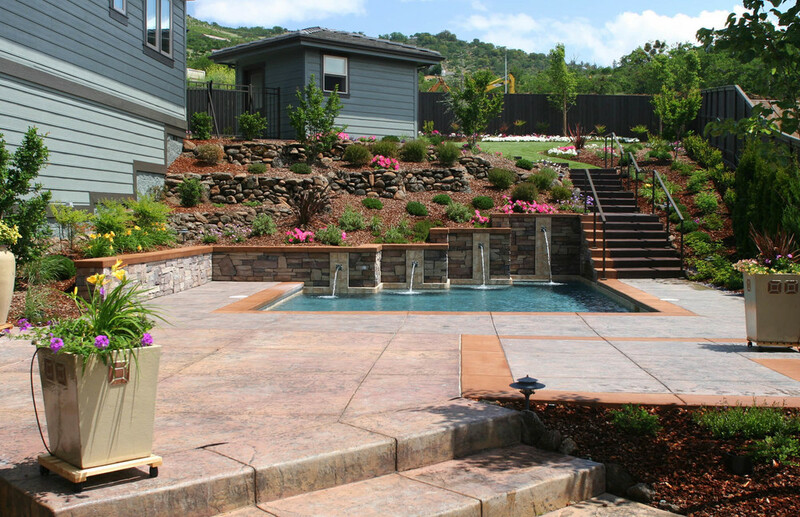 Level outdoor living spaces compliment this sloped home site in the Medford hills. 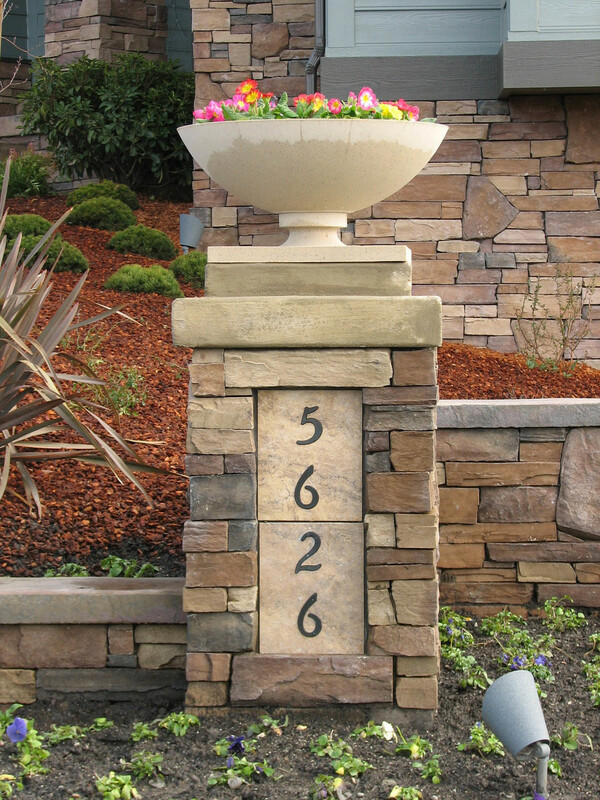 Rock retaining walls incorporate striking pool-side fountains into the colorful planting beds. Large patios link the pool area with an outdoor kitchen tucked under an upper deck.